If you own an Android Wear smartwatch, you may be disappointed with selection of watch faces included with your device. However, you can install more watch faces on your Android phone and sync them to your watch using the Android Wear app. Some watch faces may add functionality. 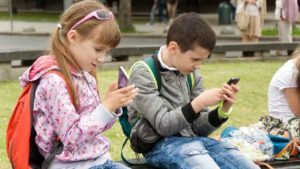 While some simply display the time and weather, others can display battery life for both your watch and phone or can function as a calculator. Android Wear is great for notifications, it’s still primarily a watch so check out this list of different faces. Keep in mind that watch faces are designed for either square or circular displays so not all of them will work on your specific watch. Minimal & Elegant is my current Android Wear watch face. It displays the time with a simple hour and minute interface. There are also options to display the weather, phone battery, and watch battery. But what I like best about the watch face is that it’s simple and doesn’t use a lot of battery throughout the day. I can use it from about 6:30 AM and still have more than 50% by 10 PM. Actual battery life will vary, but this is the best life I’ve gotten out of a watch face. Watch Face – Minimal & Elegant is compatible both round and square watches. Specialized Bikes is designed for bicyclists who need to know the current weather conditions. The watch face displays times for sunrise and sunset along with the weather. Specialized Bikes is simple and the amount of information displayed on a small screen is impressive. There aren’t many customization options and the background is kind of ugly but it does the job if you need weather information first and foremost. Specialized Bikes Watch Face is compatible both round and square watches. Pujie Black offers a lot of customization options. It contains analog and digital faces, watch and phone battery indicators, and different display options for the time. There are also battery saving options like disabling animations and how cards display. It does take a lot of time to get Pujie Black exactly how you want, but you can save your customizations as presets. The app is regularly updated and more options are available with each update. 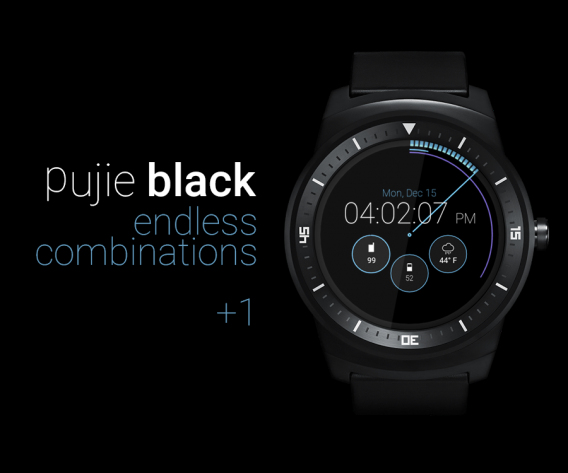 Pujie Black – Wear Watch Face is compatible with both round and square watches. 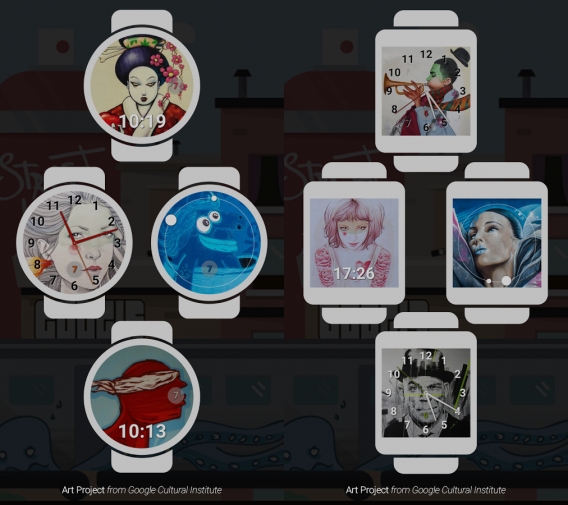 Described as a “collection of beautiful street art watch faces from Google Art Project,” Street Art is a fun collection of watch faces that offer a more creative way to look at the time. There is a big lack of options that other watch faces offer, but if you want an interesting background this set of faces is perfect. Street Art watch face is compatible with both round and square watches. If you love the weather and all the scientific measurements that it brings, then InstaWeather is perfect. 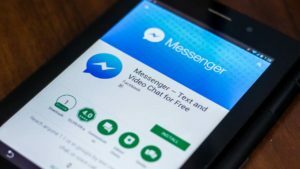 The app is free with in-app purchases so its best features are paid. Depending on the amount of information you want, InstaWeather has simple or advanced weather information like a radar that sits in the background of your watch. 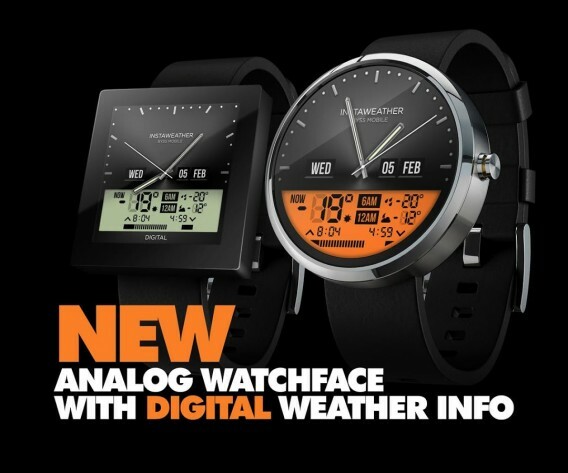 Even though InstaWeather may offer too much information for some users, its digital and analog faces are beautiful. InstaWeather for Android Wear is compatible with the Sony SmartWatch 3, Motorola Moto 360, Samsung Gear Live, LG G Watch, LG G Watch R, and Asus ZenWatch. Scuba Diver’s main attraction is its “low light readability.” While marketed as a way to turn your Android Wear into a “sporty dive watch,” there currently isn’t an Android Wear smartwatch that’s designed for diving. But its focus on readability is something that many other watch faces ignore. If you’re looking for a more traditional watch face design, Scuba Diver Watch Face is perfect. 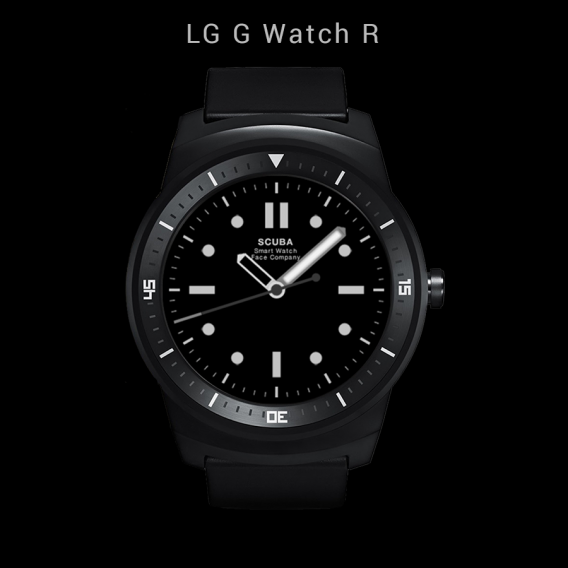 Scuba Diver Watch Face is compatible for both round and square watches. Instead of offering any useful features, Little TV is completely useless but amazing at the same time. Its only purpose is to display a random GIF every time you check your watch. 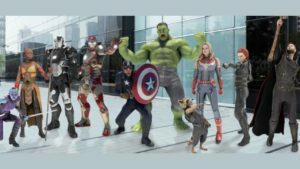 The GIFs it displays are from Giphy and you can select different channels for the types of GIFs you want to appear. If you like a GIF, then you can select it as your permanent background in the settings. Little TV is fun, but not really useful in the long term. 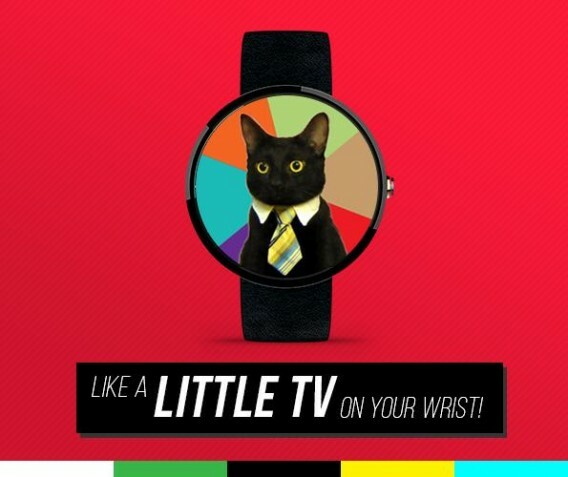 Little TV – App & Watch Face is compatible with round and square watches. 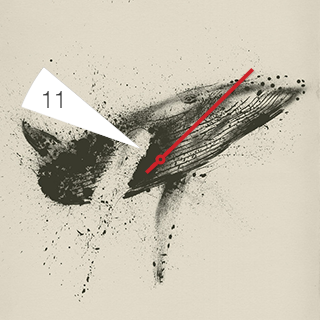 AllNumbers takes simplicity to a new level. 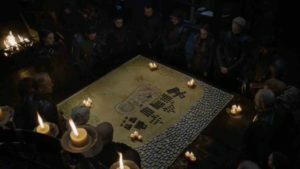 Rather than offering a lot of flourishes, it displays all your information with numbers. 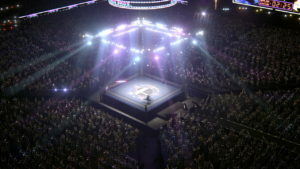 Each segment of time is displayed and highlighted. AllNumbers also displays both the phone and watch battery so you know how much life is left on both devices. 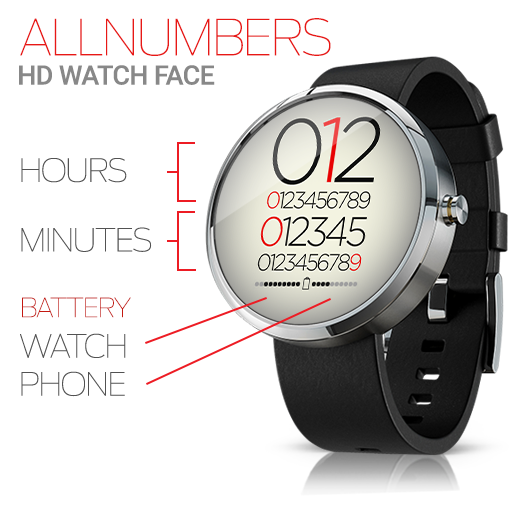 AllNumbers HD Watch Face is compatible with round and square watches. Android Wear’s stock watch faces focus on simply telling time with different themes, but if you’re looking for something more creative you can try 500px. 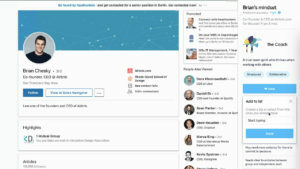 There’s no function other than switching the background with one of the photos from 500px. 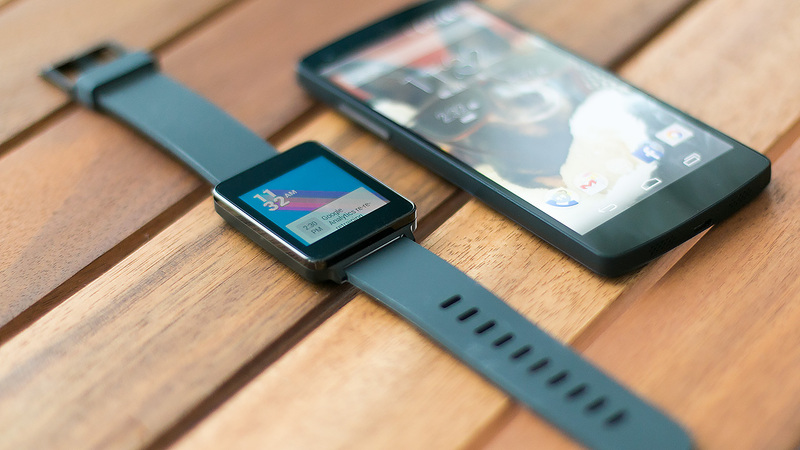 Android Wear is built into the 500px app so you sync backgrounds to the watch. 500px is great if the only thing you want is a different background. 500px – Discover great photos is compatible with round and square watches. 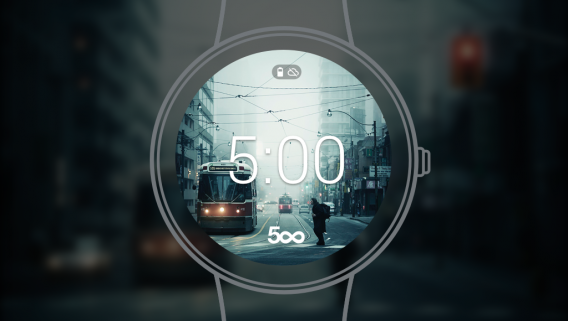 Like 500px, Behance Watch Faces uses artwork sourced from its community to create watch faces. The difference is that these watch faces are designed around the artwork and each face features different ways to tell the time. The indicators for time are arranged so that they don’t cover the artwork. The biggest disappointment with Behance is the lack of watch faces to choose from. 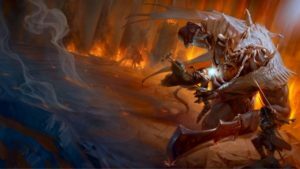 If you like an artists’ work, you can view in on your phone. 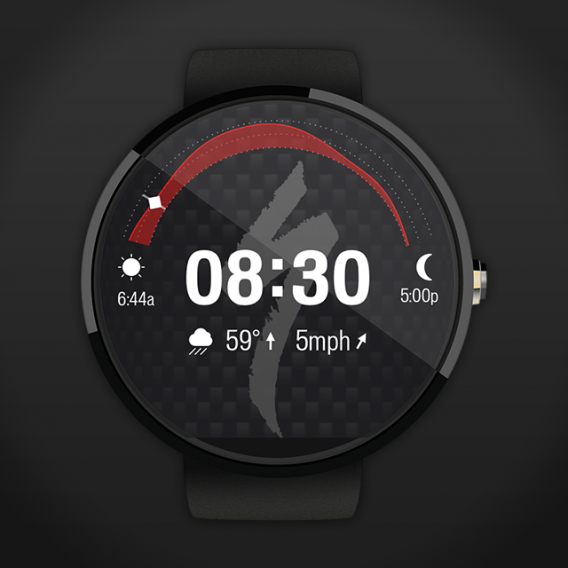 Behance Watch Faces is compatible with round and square watches. 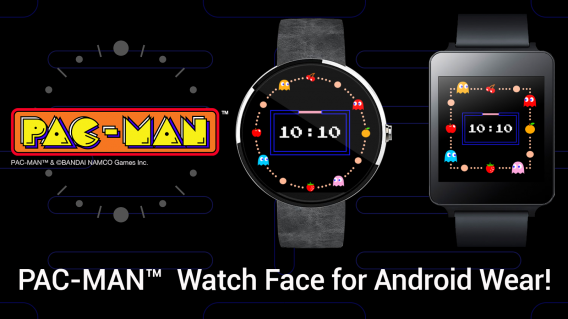 If you love PAC-MAN, have Android Wear, and are willing to pay $0.99, then you can have a PAC-MAN watch face. However, all it does is replace your existing watch face. You can watch PAC-MAN runs around the dial eating power-pellets and ghosts. PAC-MAN Watch Face is compatible with round and square watches. 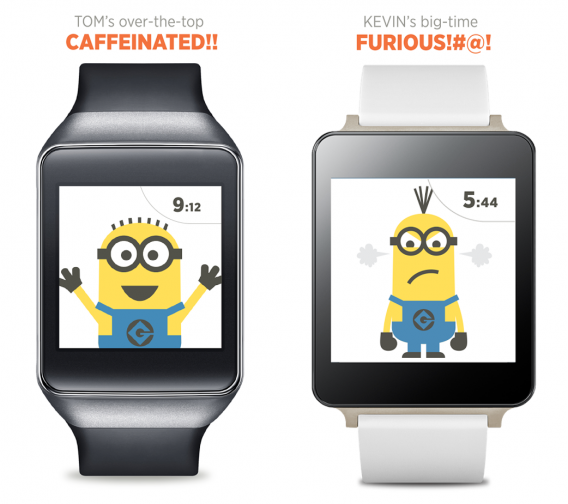 Fans of Despicable Me and Gru’s Minions will like this watch face. 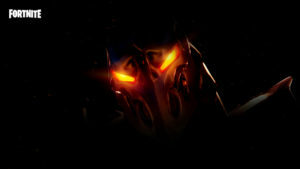 Different Minions are displayed throughout the day and show different moods depending on the time. It’s a fun little distraction for your Android Wear but will cost fans $0.99. Despicable Watch Face is compatible with round and square watches. 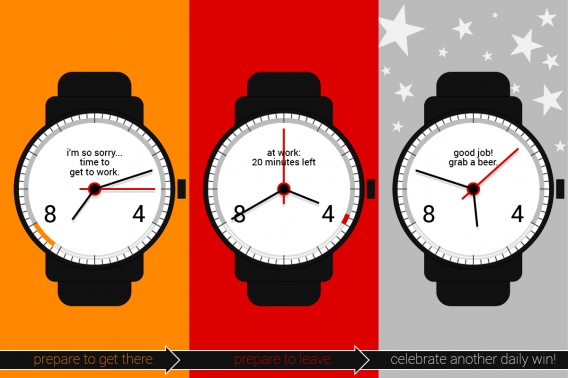 The simplicity of 9to5 Working Hours is that it shows a countdown to when workday is over. Even though it’s called 9to5 Working Hours, you can set any range of time you want. 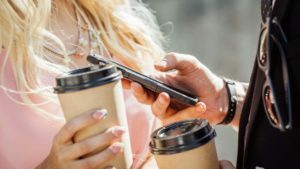 9to5 Working Hours includes both analog and digital faces. The app also includes the option to show the date and watch battery information. 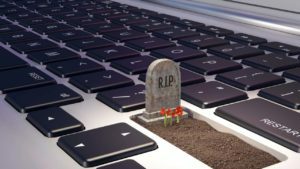 9to5 Hours may depress some people as seeing a long red bar can get discouraging. But it’s great if all you want is to quickly glance at how much time is left until happy hour. 9to5 Working Hours Watch Face is compatible with round and square watches. If you really like Plants vs. Zombies, you can display it on your Android Wear. The watch face is very simple. Using an analog watch interface, the zombie will use its arms to point at the current time. It’s more of a watch skin than watch face. There aren’t any other options like phone or watch battery, but it’s a free download. 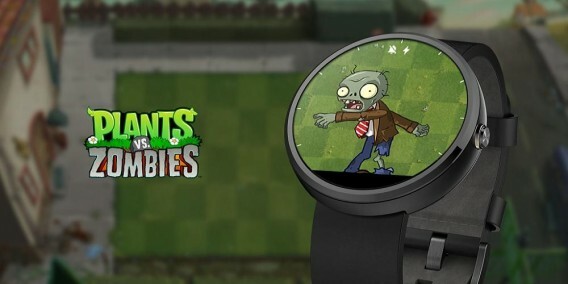 Plants vs. Zombies Watch Face is compatible with round and square watches. You can find more watches in Google Play’s dedicated section for promoted watch faces, but a quick search on Google Play will give you a lot more options. 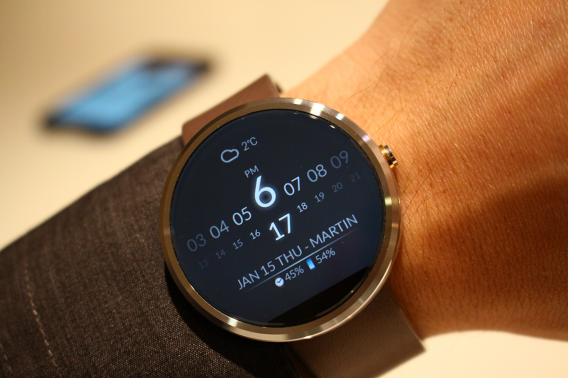 As the Android Wear platform matures, expect to see more watch faces and Android Wear apps.